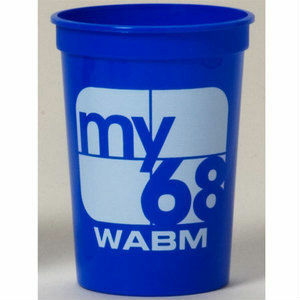 Custom stadium cups are a cost-effective solution for any promoting any business. They have a longer exposure time than traditional printed advertising like fliers and postcards. Paper ads are discarded just as fast as they are received much of the time, where promotional stadium cups have an inherent use which encourages people to keep them. 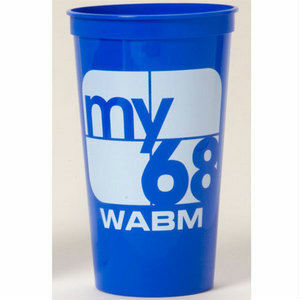 Promotional stadium cups, also known as souvenir cups, are great items to use as merchandise, give aways, or freebies. Our large selection of imprinted stadium cups provides you the ability to create a promotional stadium cup that is unique to your business, organization, or event. We carry both smooth walled and fluted stadium cups, that come in a variety of sizes and several colors. Custom stadium cups are available in quantities for events of any size. Get your custom printed stadium cup today for your next convention, wedding, parade, fair, conference, sporting event, party, picnic, or other special occasion. All of our stadium cups are made in the USA, and can be recycled. The plastic of stadium cups are durable, dishwasher safe, and reusable. Our stadium cups are BPA free, and meet FDA standards and regulations to be used with food. 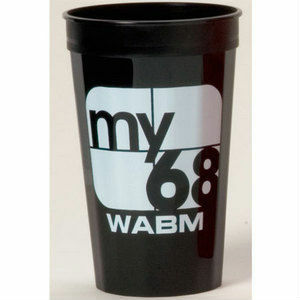 So can rest easy using our promotional stadium cups to advertise your business. Click a size below to view information and pricing! For multi−color imprint, add $25 set−up per color. Fluted Colors: Black, red, green, yellow, royal blue, and white. Colors: Red, white, royal blue and yellow. Are you looking for an unique way to advertise your business or event over an extended period of time? Then custom printed stadium cups are what you need! With custom printed stadium cups you can provide your business with a promotional item that can be used repeatedly and have your brand noticed time and time again. Stadium cups are made with a heavy durable plastic that is reusable and dishwasher safe. 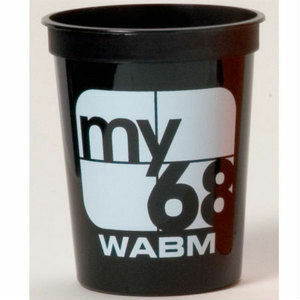 So imprint your brand on a stadium cup for an affordable low price in any quantity for your next event.